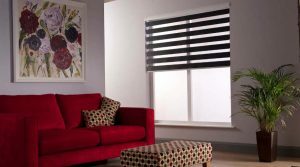 Duplex Blinds or Duo Blinds are the latest modern designs on the market for roller blinds. In addition, they are also known as Zebra Blinds, Vision Blinds, or Day and Night blind depending upon the supplier. 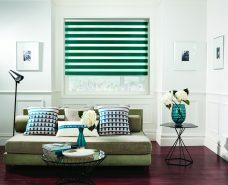 Twist, Duo Roller or Duolight blinds are other names by other suppliers for these blinds. 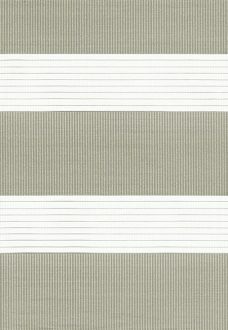 Made from horizontal stripes a non-transparent and translucent woven stripes alternately. Above all, the construction enables the fabric to transmit light. In particular as the two translucent fabric line up, one behind the other, light passes through both fabrics. 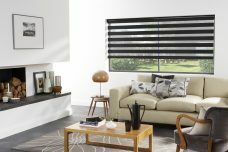 The Duplex/Duo blinds are double roller blinds. Two layers slide past each other when pulled up or down using a chain. The front layer moved independently of the back and the stripes glide between each other which can give the appearance of the blind being opened or closed. 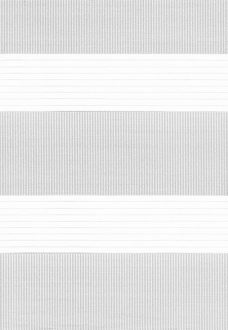 In effect, the blind fabric filters and softens daylight. 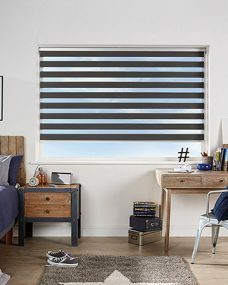 At the same time, privacy option is available with these blinds. Although white chain is a continuous loop comes as a set length. For this reason, on long windows, the chain may be too short. However, other chain options ensure that this is not a problem. 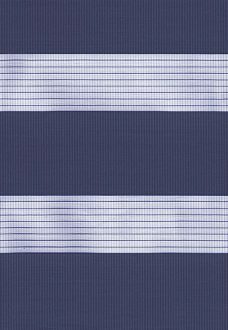 Consequently, the silver chain together with the gold chain allow for varying installation heights. 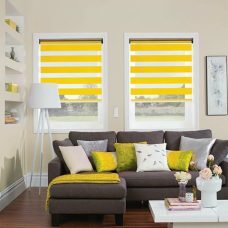 At the present time, this ensures the cord length comply with blinds safety. 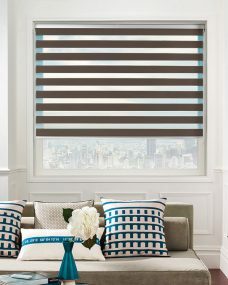 Henceforth, these blinds can now be motorized using the Louvolite one touch motor system. As a result, this option ensures no cords can pose an danger to children. 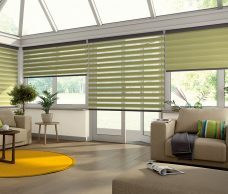 NB All photos on our website illustrate how the blinds may look. Importantly, monitors or devices vary; please order a sample to check that it is suitable for your needs. Instant quotes online by entering the width and drop of the window.